I’m co-hosting a Soiree today. A Style Soiree! And if you missed yesterday’s post, click HERE. (I heard there were lots of technical issues yesterday with pictures loading and such.) You have got to see my new neutral blazer. I LOVE it! Today we are looking to Kate Spade for inspiration. 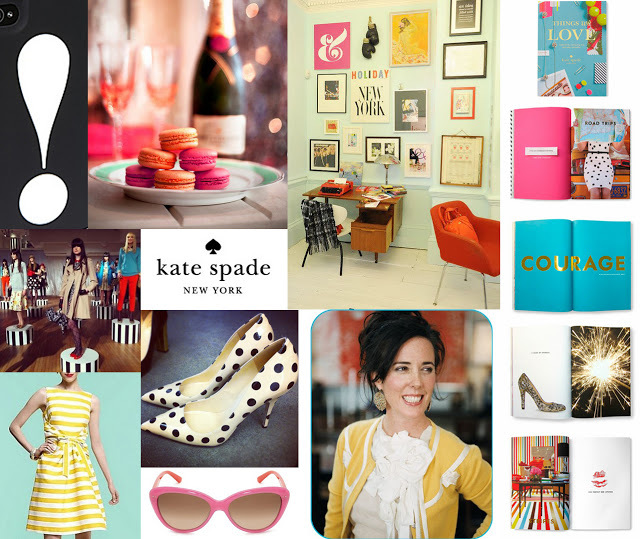 When I look at this Kate Spade collage of goodness, it makes me happy! All of the bright colors, polka dots, and stripes just make me smile. While searching for Kate Spade inspiration, one thing became clear. Okay, maybe she has 2 rules. 2) Boring colors and boring patterns need not apply. Okay, maybe she has 3 rules. 3) If you think you have enough color, go ahead and layer on one more color. Here is my black and green inspiration collage. Here is my interpretation! I had on a gold necklace at first, but I took a cue from Kate, and threw on an orange necklace. And you know what? I liked it! I’m sooo sad for you guys that this shirt is sold out, because I’ve been wearing the heck out of it. I had NO IDEA how much I would wear a solid color button up, but I do…ALL THE TIME. I looked for a solid color option in cotton all over the place with no real luck. Then I found this silk option HERE in 20 colors. 20 colors! And it has lots of great reviews (many commenting on the flattering fit). I think it would be a great wardrobe staple. 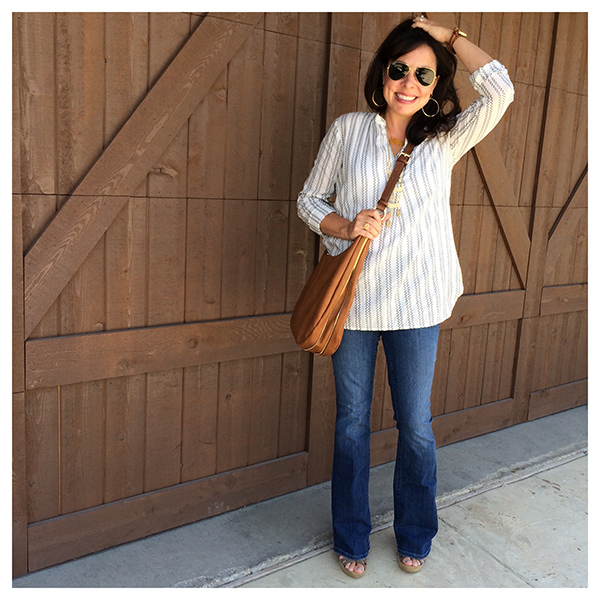 This is my second Nexx blouse and it is the perfect “go to” wardrobe staple for anyone. It has just enough structure to be really flattering for any body type. I really really liked this outfit. Even though I was wearing shorts, I felt very put together and polished! 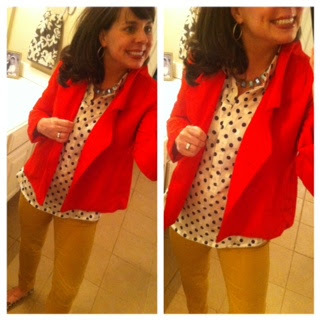 Kate Spade loves her polka dots, and I love my J Crew Factory polka dot shirt (found HERE), so it was perfect to pull out for this challenge. I’ve only ever worn it with skinny jeans and tall boots or under my pink blazer. So, I thought, how would Kate Spade wear it? I channeled my inner Kate and paired it with mustard pants, leopard flats, a coral shift coat, and a green and blue necklace. Now that I’ve created the outfits, I thought I would highlight some of my favorite Kate Spade items (and one Kate Spade-esque item, that is much more affordable) that are out right now that I am drooling over. First up, THIS bow tote that is available in black or white. And…..it’s 33% off right now! The black is definitely my favorite. This bag is an outfit maker for sure. 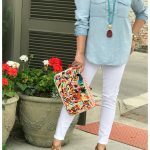 I am totally LOVING THIS cute cross-body bag in her signature colorful stripes. I’ve been lusting over THESE leopard and hot pink flats for awhile now, but I just can’t make myself spend that much on a pair of shoes! Would y’all pay that much for shoes? I am of course drooling over THIS bag and THIS bag. Such bright fun colors and so big! Can’t afford the above bag, but still really want a bag? Check out these patent leather totes. 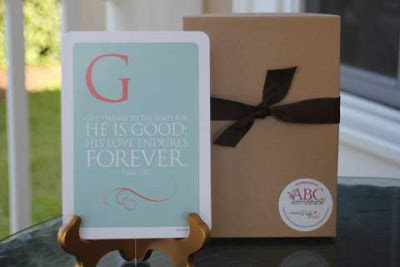 They are 33% off and much less expensive than the large totes above. Click on a picture if interested. 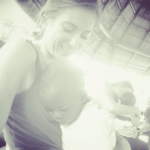 Want a little Kate in your life, but can’t afford something big? Check out THIS wallet. It’s shiny…my favorite is the hot pink…and it would be so much fun to pull out of your purse! It’s on sale too! Swipe it up right now for 33% off! 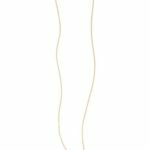 What about THESE signature Kate Spade bow earrings? They would be a great an inexpensive way to add a little Kate to your closet. And just for fun, THIS bag is not Kate Spade…..
but it’s very Kate Spade-esque I think! I mean, look how cute it is! And it’s under $60! I think if you just have a normal load in your purse it would probably be fine. 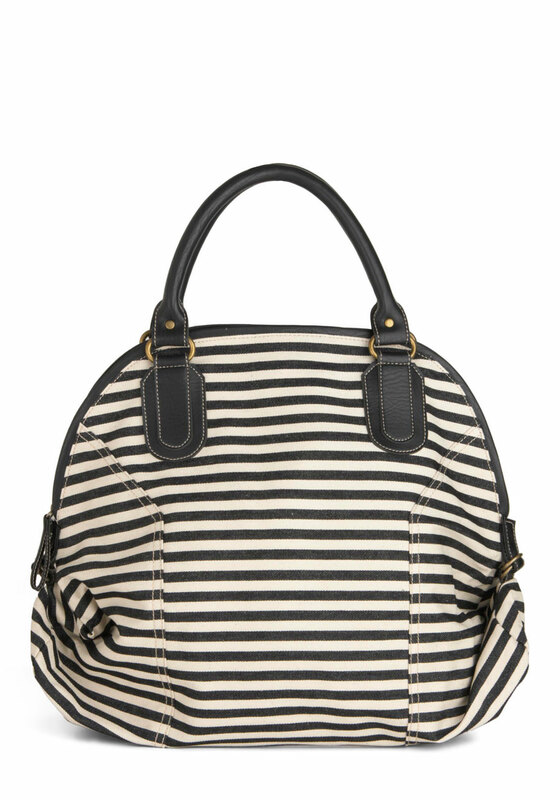 Stripes are SO in and I LOVE the shape of this bag! 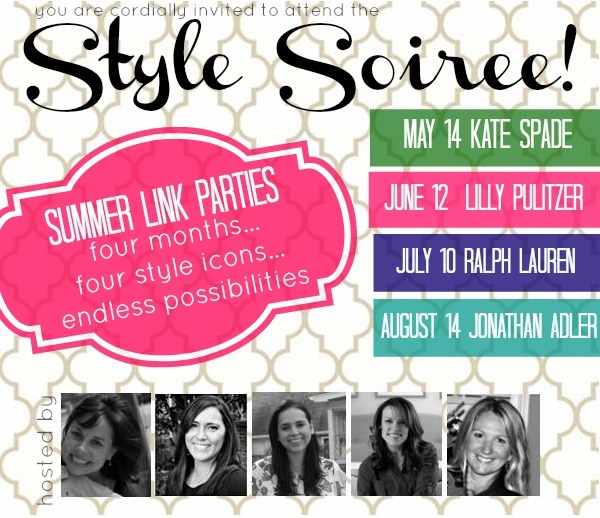 So…that’s it for our first week in the style soiree! I had such fun putting outfits together that I would not have put together on my own. Link away…and make sure you come back on June 12th with Lilly Pulitzer! Click on the pic below if you want to get to the Kate Spade collection at Nordstrom. This is the LAST DAY for 30% off at GAP with the code GAP30! And there is a flash sale until 10:00 am at LOFT where you get $50 off your first $100! Click HERE to shop LOFT. Darling!! Love the polka dots and yellow jeans. And that striped bag is amazing. Oh my goodness! I just love, love, love Kate Spade! The green and black is so fresh and perfect for summer. And I'm obsessed with the polka dots too! I'm going right now to check out those bags…love them! This is such a fun collaboration! I was in LOFT this past weekend and they had some great lightweight solid color button up blouses. I passed on them wondering how much wear I would get out of it but now may have to rethink it. Love this post! So perfect! Love both outfits and I think outfit number 2 inspired what I'm wearing today. Now let's just hope everything is clean and not in my laundry pile! Obsessed with that bag. Great score! I LOVE that first outfit. The green shirt is beautiful, and you were made for shorts! love the green outfit so much!! You look awesome in the shorts and wedges!!! Love that outfit!! 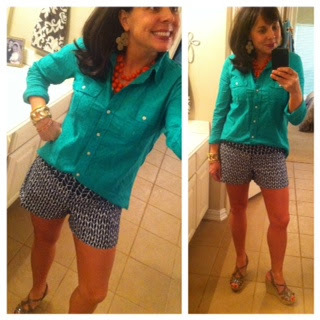 The weather has been unusually cool in N.C. for this time of year so I can hardly wait to wear my shorts and wedges!!! Have a blessed day! 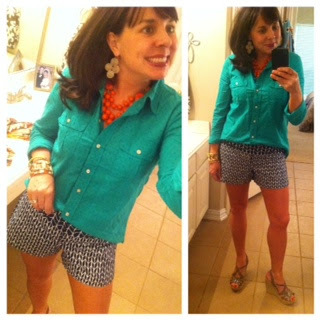 Fun fun fun – i love that polka dot shirt! So much adorableness in this post! I love that solid button down with the shorts, tres chic! The first outfit is ADORABLE! It is my very favorite outfit yet…Yea! I find that it is sometimes difficult to look polished in shorts, but you do it beautifully. I finally broke down with the wedges. I have been looking at them daily, but for some reason had not pulled the trigger, but I ordered the putty ones today and I am super excited. 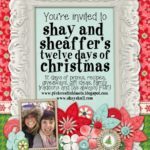 Thanks for your blog, it makes my day brighter! It is truly amazing how much you love yourself. It shows in every word you write and every picture you take of yourself. Oh my gosh, your little printed shorts are SO CUTE!! And that top! I'm sad it's sold out, too! You look cute as always, girl! You look really good in your green outfit. I have a fuchsia button-up top and I also love the look of a bright button-up–it's classic and work-appropriate but not boring! Can anyone tell me that different style and colors are available in Kate Spade jewelry? 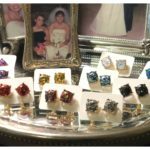 I need durable as well as comfortable pair of earrings for me.